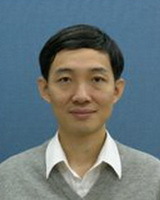 Doctor Kan's expertise focuses on the area of structural mechanics of concrete, in particular, in the fracture mechanics of concrete and the concrete repair materials and technology. His research also deals with the behavior of concrete slab and composite concrete deck. He has recently been engaging on the projects relating to the shielding concrete and the structural behavior concrete used in the nuclear power plant facility. He is currently the leader of the technical group of “ Concrete structures and materials applied in nuclear facilities ,” under the Taiwan Concrete Institute.